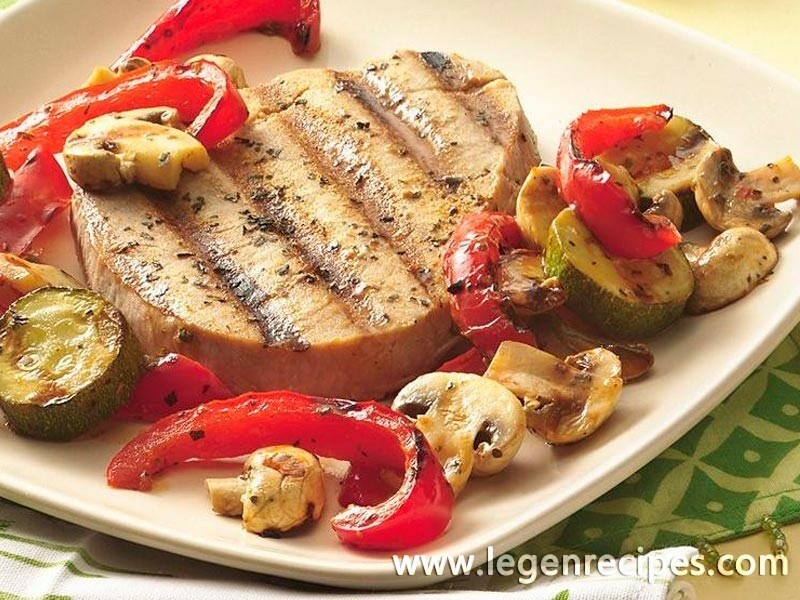 Mouthwatering tuna steaks are jazzed up with colorful veggies marinated in basil-infused Italian dressing. In medium bowl, mix Italian dressing and 1/4 teaspoon of the basil. Add mushrooms, zucchini and bell pepper; toss to coat. Let stand at room temperature 15 minutes to marinate. Meanwhile, heat closed contact grill 5 minutes. Sprinkle tuna steaks with seasoned salt and remaining 1/4 teaspoon basil. When grill is heated, place vegetables on bottom grill surface; reserve dressing in bowl. 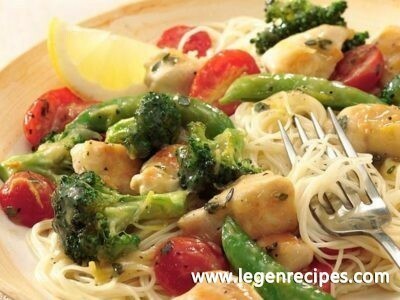 Close grill; cook 3 to 5 minutes or until vegetables are crisp-tender. Remove from grill; return vegetables to bowl with dressing. Add tuna to bottom grill surface. 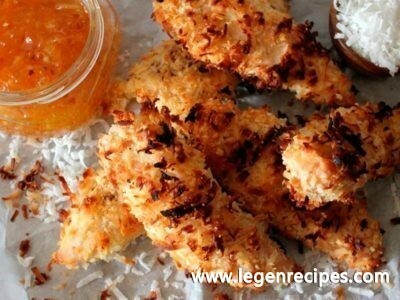 Close grill; cook 3 to 5 minutes or until fish flakes easily with fork. Serve vegetables and dressing with tuna.